Passionate about helping his patients get out of pain and experience revitalized health, Dr. Cleve Taylor truly loves his job. 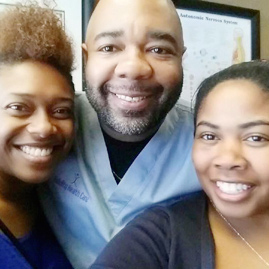 He’s been in practice since 2003, assisting patients in Atlanta in their quest to feel great. I want to help the least, the last, and the lost. The idea that drives Fidelity Health Care is being loyal to our patients and what is best for them, as well as to the natural health care profession. We’re here to get sick people well. Everything we do is centered around our patients. There’s nothing more important to us than making sure you get the most out of life. By reducing your pain, facilitating the healing process and boosting your overall wellness, we aim to improve the health of our entire community. Dr. Taylor feels that every patient’s success is a miracle. Seeing people get better through natural healing is a gift that we have the privilege of seeing every day. A doctor for people of all ages and walks of life, Dr. Taylor is here to support you on your journey to feeling better. You may see us because you’re experiencing pain. We’ll help you find relief, educating you on how chiropractic can help you live a healthier life. Our family practice helps many different conditions, such as sports and auto accident injuries, and all types of pain, from head to toe. 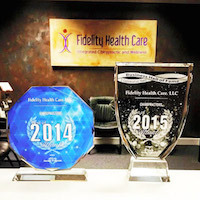 Discover why Fidelity Health Care was voted the best chiropractor in Atlanta for two consecutive years. Reach out to us to schedule your time!